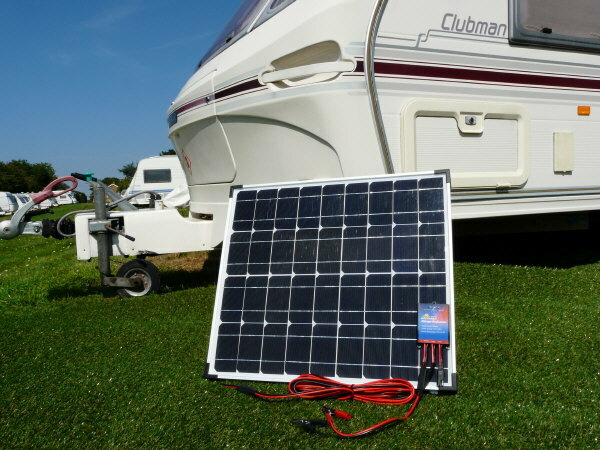 The Sunshine Solar 46W Portable Power Kits can be set up in minutes to offer a quick battery charging solution for caravan, motorhome and boat owners alike. High efficiency solar cells combined with plug and play cables and regulator make for a winning combination. Our portable power kit has been designed for caravan & motorhome users. Use the power of the sun to run appliances such as TV's, lights, computers etc whilst off electric hook up. Simply by connecting the solar panel and solar charge controller to any 12V battery (ideally a leisure battery) the solar panel will generate power during daylight hours that can be stored in the battery and used to power your 12V electrical appliances straight off the battery. Standard 240V household electrical appliances can also be used if required through an optional DC to AC power inverter. Set up is very easy and takes only a matter of minutes thanks to the plug and play S-S type connectors, One big benefit of portable solar panels as opposed to fixed solar panels is you can simple move them to face the sun as the sun moves allowing you to make the most of your portable solar power kit.